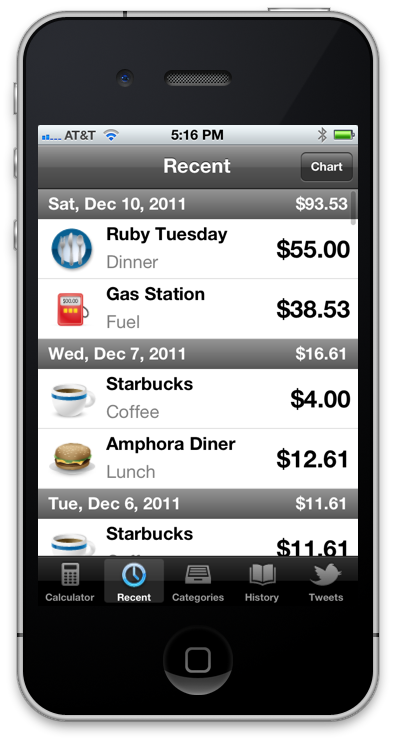 TipSaver is the easiest way to track your daily expenses, calculate tips, and make expense reports. 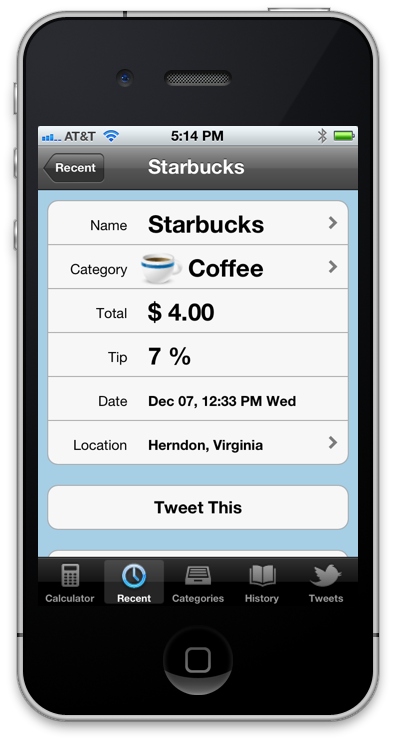 TipSaver is available now for iPhone and iPod Touch on the iTunes App Store. 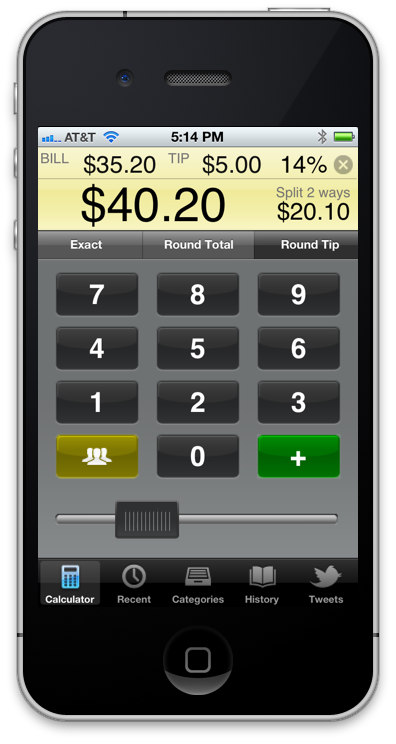 TipSaver's clean and intuitive calculator will calculate exact and rounded tips, splitting for up to 16 people. View details for a transaction. Choose a name and category. 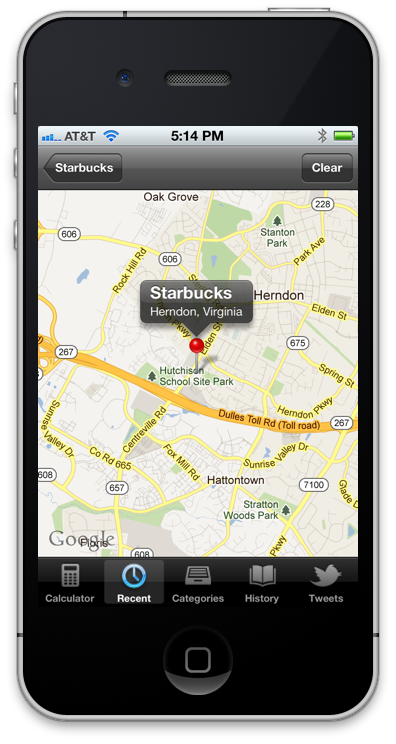 See when and where the transaction occurred. 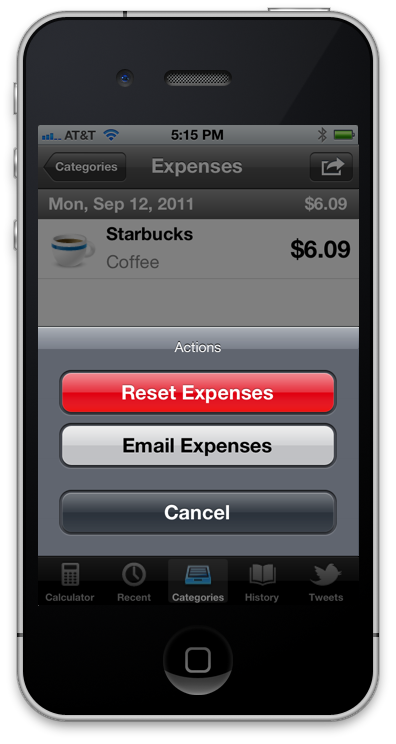 Add to Expenses and include the transaction in an expense report. 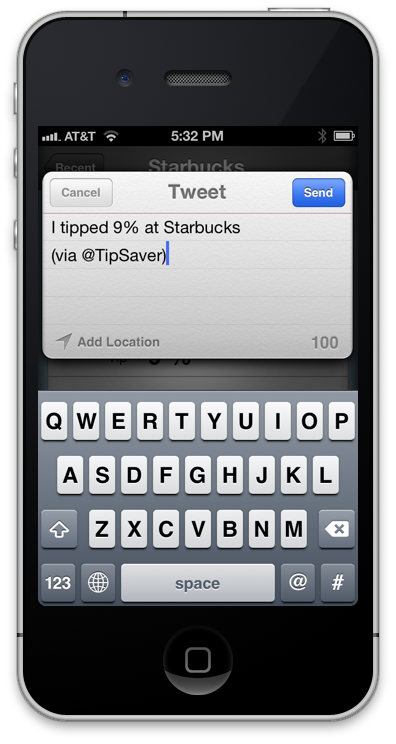 See where you used TipSaver to track your spending. See how much you are spending on coffees, lunches, and even gas. Custom categories can also be added. Chart your spending by category and by month. 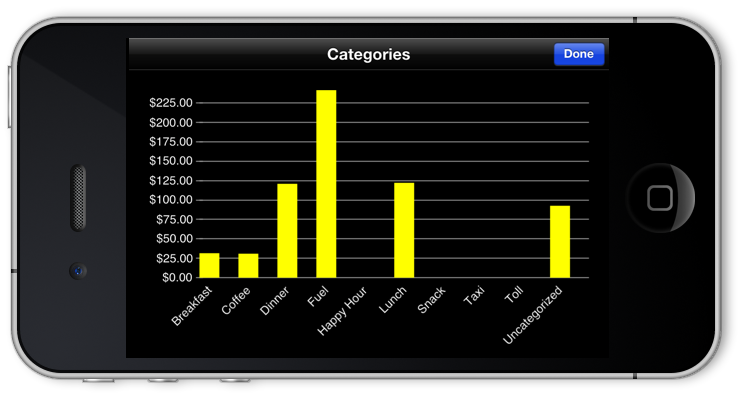 Chart your recent spending by day. Tag your transactions for Expense. 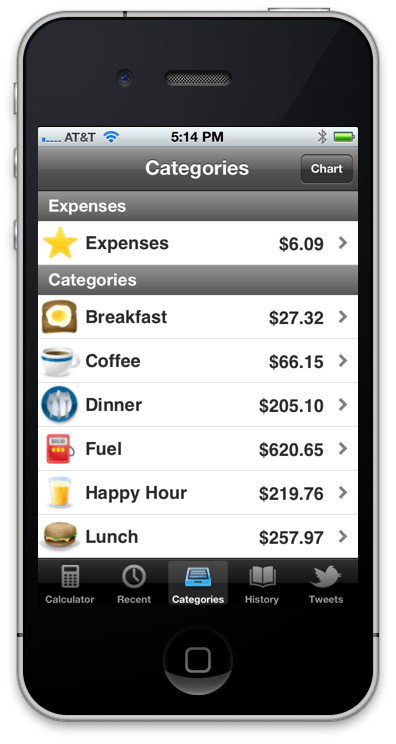 Browse expenses by recent, category, or any month. Share your tipping strategies on Twitter.